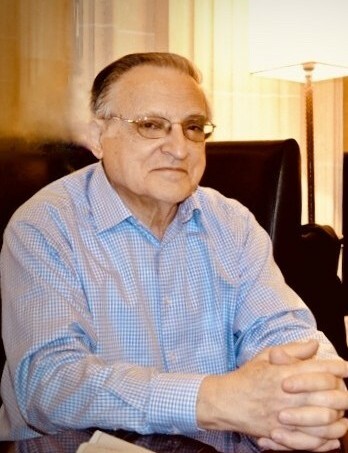 Joseph Michael Sorge, age 84, passed away on March 27, 2019 in Naples, Florida. He was born on January 10, 1935 and was preceded in death by his wife, Marie, parents, Joseph and Alice, and his brother, Jim. He graduated from Alliance High School in 1953, and married Marie Elizabeth (Mastroianni) on April 19, 1958. He resided most of his life in Ohio, including having lived in Alliance, Salem and Bolivar. He moved to Naples, Florida in 2015 and thoroughly enjoyed the warm weather, palm trees, and being near family. During his work life, he was a respected figure in the grocery business for which he had an intrinsic knowledge and love. He was known for his strong work ethic and high character. He was an active member and volunteer at St. Paul’s Catholic Church in Salem and was a devoted sports fan and reading enthusiast. He is survived by his three sons, Scott Sorge of Naples, Florida, John Sorge of Bloomfield Hills, Michigan, and Brian Sorge of Naples, Florida; five grandchildren, Anthony, Rachel, Gabrielle, CJ, and Gianna. Family and friends may call from 9-10:30 a.m. Friday, April 5 at Cassaday-Turkle -Christian Funeral Home. A Mass of Christian burial will be held immediately following the visitation on April 5 at Regina Coeli Catholic Church in Alliance at 11:00 am. In lieu of flowers, the family is requesting that donations be made to the Leukemia & Lymphoma Society 6111 Oak Tree Blvd Suite 130, Independence, OH 44131, or Catholic Charities, 800 Market Ave. N, Suite 1150, Canton, OH 44702. Arrangements are with Cassaday-Turkle-Christian Funeral Home, 75 S. Union Ave. Alliance, Ohio 44601.